It's Not How, It's Why? We all think to earn a lot of money, a large house to live, a luxury car, a lavish lifestyle, and to earn name and fame. So, as long as we are thinking anyway, why not think big? With various upcoming theories, concepts and too many directions, today’s youth seems to chase “how to be successful?” than realizing “why should they be successful?”. 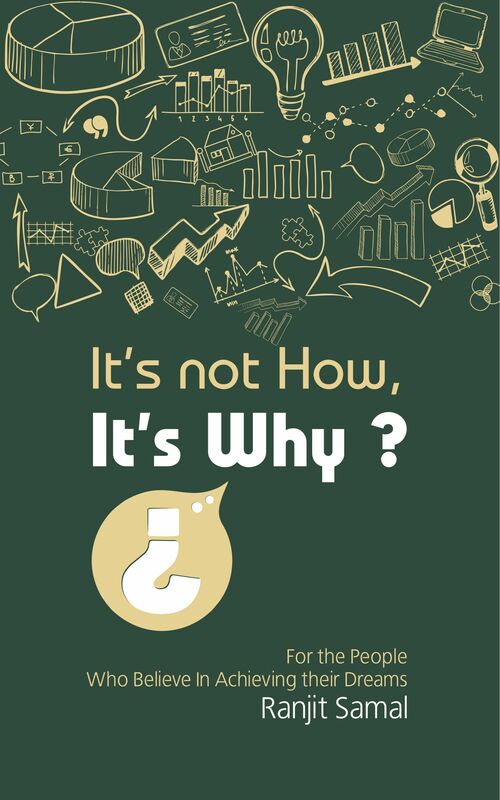 “It’s not how, it’s why” draws on simple personal experiences to stimulate and strengthen an individual’s desire to be successful and develop a greater sense of inner confidence and worth. This is a clear, down-to-earth book filled with 9 interesting reasons to tap the unseen potentials of an individual who is longing to achieve prosperity in all aspects of life. 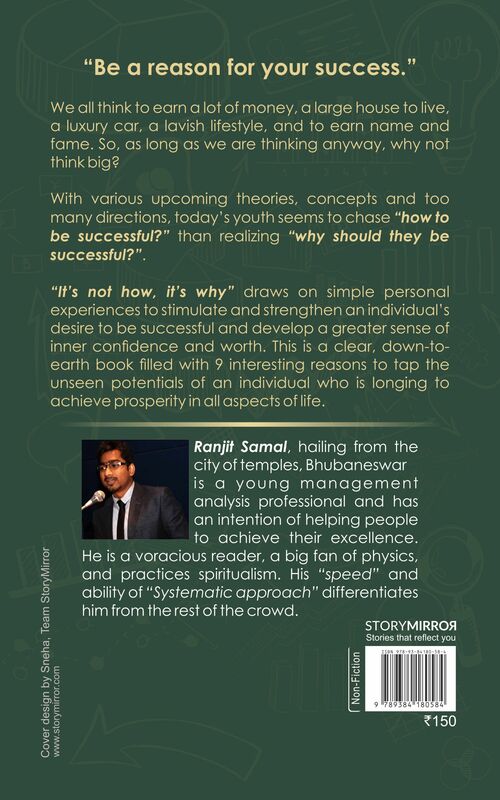 Ranjit Samal, hailing from the city of temples - Bhubaneswar, is a young management analysis professional and has an intention of helping people to achieve their excellence. He is a voracious reader, a big fan of physics, and practices spiritualism. His “speed” and ability of “Systematic approach” differentiates him from the rest of the crowd.